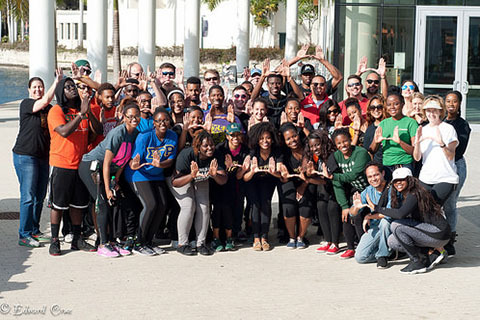 Toppel staff gathered near the Shalala Student Center and "throwing up the U" on Toppel Day of Service. Email hireacane@miami.edu to RSVP for this event! In April 2018, Toppel Day of Service was planned in partnership with United Way, Yellow Rose Society, and the Butler Center for Service. 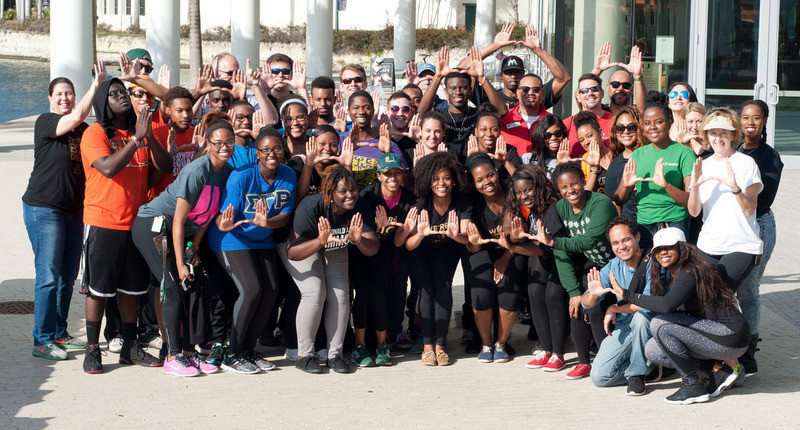 Students, employers, and UM staff came together to serve and make an impact on elementary and middle school-aged children at the Overtown Youth Center, located in Miami’s most historic inner city. The day’s events included making slime, coasters, and bracelets, an Art Bot STEM experiment, corn hole, basketball, and a splash challenge. The event culminated with a newspaper fashion show, where the youngsters showed off the their clothing designs! Keep a lookout for updates regarding Toppel Day of Service 2019!